Installation using wax, velvet and heat source. Exploring the transience of structure through a material that transforms from solid to liquid state and back again, by heating the sculptures over time during the exhibition. 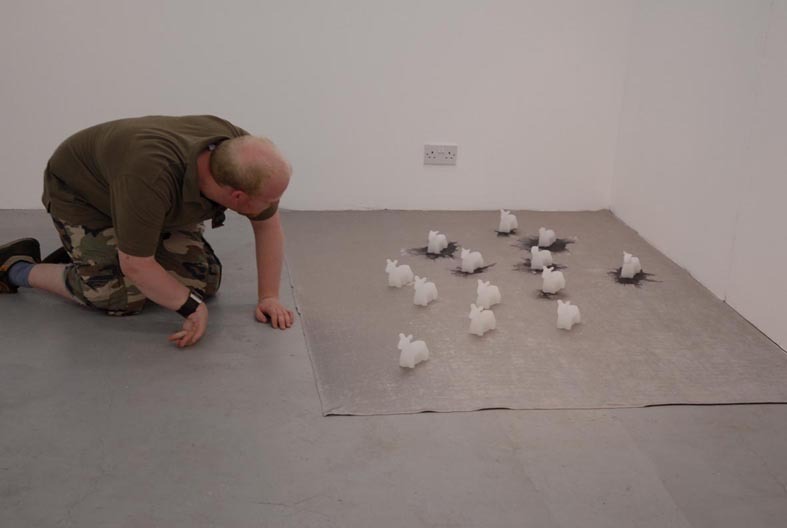 Video detail of Insubstantial, time based installation, one of several wax white deer sculptures with poem soundscape. Apologies for the low quality of this video.